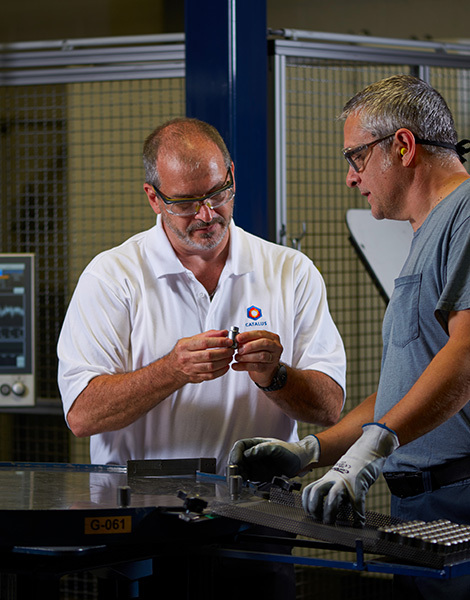 Our collaborative approach stands out in the industry, allowing us to keep customers ahead of rapid changes while meeting demands for new and better products. Since the 1950's, Catalus Corporation has been an innovative leader in powder metallurgy technology for automotive, lawn and garden, marine power and other industries that rely on our high-quality custom powdered metal parts. World class products are in our DNA, and Catalus is proud to bring this tradition of excellence into a new facility dedicated to research and development. Because when we work directly with engineers, amazing things happen. See how we’ve helped customers just like you solve problems - from simple to complex. Powder metallurgy offers significant savings + reduced scrap over other methods. Net and near-net shape forming often eliminates the need for finishing process. 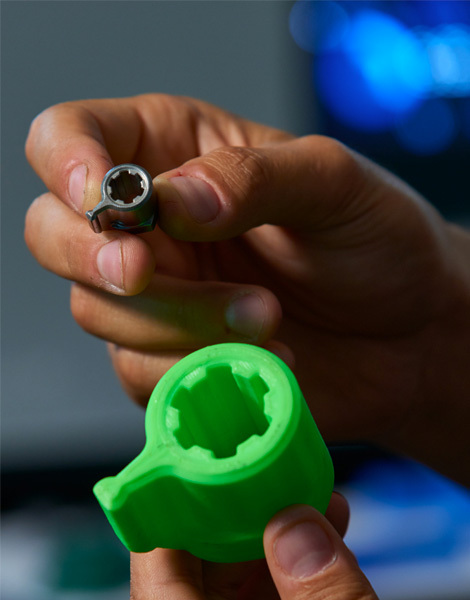 From design, molding and sintering to the final product, Catalus delivers quality every time. The Catalus team works with you from beginning to end to ensure your ultimate satisfaction. From alloys to stainless steel, we create quality OEM parts for a variety of industries. We go above and beyond with finish, packaging and assembly options for many products. Built on a tradition of family, loyalty, excellence and always staying ahead of the curve, Catalus offers employees a rich environment in which to grow and learn.